Dogs and kids are a great combination. But there are some safety precautions you need to take when it comes to big dogs and children playing together. 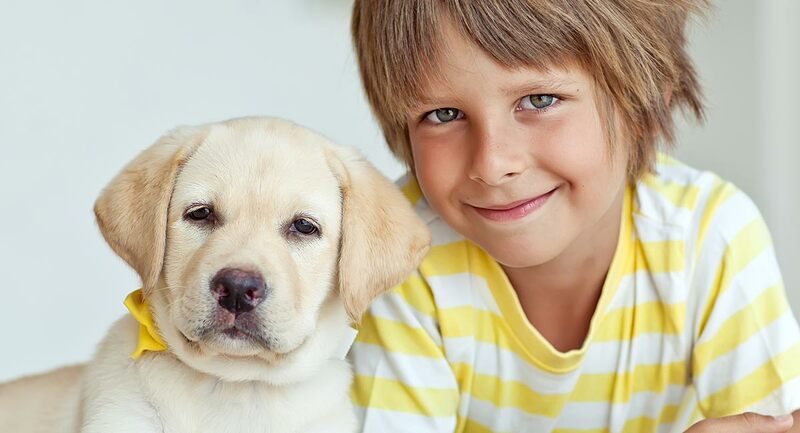 We are going to look at some important dog facts for kids and their parents to know before playing with their Lab. And at some games for dogs to play with children, that won’t end in tears. Watching two dogs play together is fascinating. With fearsome grimaces, and bared teeth clashing, the dogs perform an amazing ‘mouth dance’ usually accompanied with ferocious sound effects. [wp_ad_camp_5]A huge part of the game is often mouth wrestling. Bouts of mouth wrestling may be interspersed with frantic chasing games that often culminate in barging and rolling over. It’s a rough business. And it isn’t the way you want your dog to play with your kids. Fortunately, dogs are pretty good at learning that the rules of play between dogs are different from the rules that apply when a dog plays with a person. All we need to do is teach our children how to ensure that their dog understands which rules apply. Whilst it looks and is quite rough, two good natured playing dogs seldom harm one another. Their thick coats protect against play nips and each dog understands the rules of combat. A play bow invites an extension of the game, a stiff upright posture ends it. And to step in if one dog is no longer having fun. When Labradors are allowed to play in this unstructured ‘doggy’ way with children, things can get very complicated. And sometimes they can get dangerous. The problem is that the dog and the child are using totally different body language. And as a result, they often get their ‘wires crossed’. The conversation between them is largely misunderstood. And a playful dog sees them getting on the ground as an invitation to engage in ‘dog play’. The dog may then jump roughly all over the child exactly as he would with another dog. Your dog is not being mean when he carries on being rough despite your child’s squeals. Dogs do not always react to small children cries of distress appropriately. This is probably because they don’t recognise them as distress calls. There are two possible consequences to this misunderstanding. One is that the dog thinks the child still wants to play and carries on jumping and begins nipping harder and harder, whilst the child becomes more and more upset. The other rarer but even more dangerous consequence is that the distress calls are interpreted as a prey response and the dog switches into predator mode and becomes aggressive. I should emphasise again that this is very rare, but it can and does happen. It is important to teach children never to roll on the ground with any large dog. No matter how wonderful the temperament of that dog may be. He is still a dog. 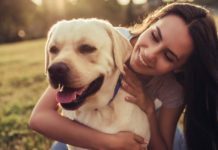 When you or your child plays with a dog, it is important that the game does not switch into ‘dog play mode’ with all the barging and nipping that involves. You need to be in control of the game at all times, and it must be a game played on human terms. Because children are very poor at recognising important dog body language signals they get bitten far more often than adults do. Sometimes by perfectly nice dogs that have simply become completely over-excited or been pushed too far. All normal healthy dogs give lots of warning signs that they are uncomfortable with what you are doing and want you to stop. Adult humans are actually quite good at reading these signals. Ten thousand years of living with dogs has paid off in this respect. We know that the bared teeth and the growl means ‘back off’. We know that the stiff posture and curled lip precedes the growl. But this ability to ‘read’ dogs seems to come with maturity and children cannot do it very well. Small children cannot do it at all and will cuddle a fiercely growling dog completely oblivious to the danger. 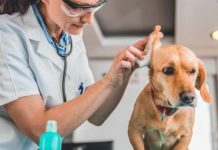 For these reasons, and because an overexcited dog can knock over and seriously harm a small child, children must be supervised around dogs and especially when playing with dogs. This can be disappointing news to a family that have bought a dog as a ‘playmate’ for their child. 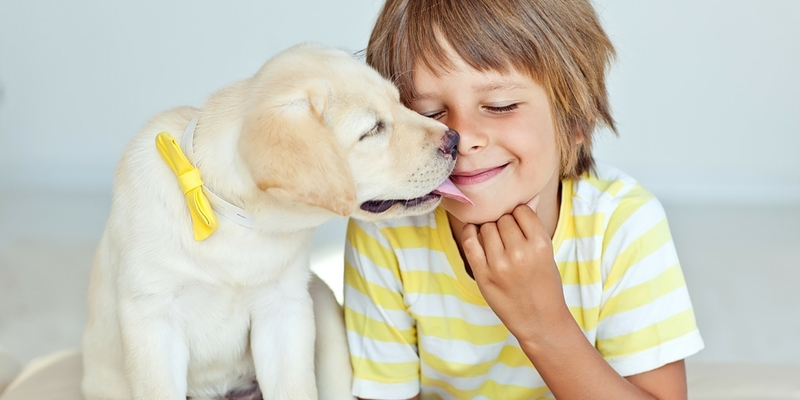 But there are ways for dogs and children to interact together successfully, and teaching these to your child now will set him up for a lifetime of pleasure with dogs as companions. As we have seen, the first rule of playing with any big dog is to remain standing up. Labradors are no exception. If you are down on the ground with your dog it should be for a good reason. Because you are encouraging the puppy recall for example, or because you are having a picnic (in which case the dog should be seated or lying down next to you). If you want to sit on the ground next to your dog, the dog should be sitting or lying down calmly and under your control. Most dogs need to practice this. First with you sitting several feet away, and then with you gradually sitting closer to him. With lots of rewards for keeping still and staying calm. If the dog gets excited stand up! This is so important that it bears repeating: Teach your kids never to roll around on the ground with a big dog. The next rule is that a human controls the start and the finish of the game. If you are going to play ‘tug’ with your Labrador, for example, you must be able to ‘cue’ the dog to ‘leave’ the tug toy at the end of the game. You retain control of the toy, it is your toy and you decide when the game is over. You should know the ‘rules’ of the game you are playing. Unstructured play, especially physical play, with a large dog is asking for trouble. The rule could be as simple as ‘I’ll throw the frisby and you try and catch it’. But you should know what game is being played. Otherwise it will just descend into a free for all. Some young dogs do not know when to stop. They get more and more excited and eventually start being silly. Keep games short. Especially where children are involved. A few minutes is usually quite enough. Ten or fifteen minutes may be far too long. Once the dog has got himself into a ‘state’ he is likely to start barking, start nipping, charging around bumping into people and so on. If you let things go on too long and the dog is getting over-excited, stop the game. Young children find it very hard to follow these rules. Please do supervise your kids when they are playing with your Labrador. And do teach your dogs and kids the best game in the world. The Labrador Retriever does not get his name by accident. He is a retriever, born and bred. There is simply nothing on this planet he will ever enjoy more than retrieving. 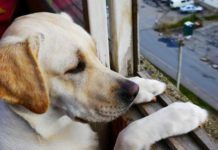 Not all Labradors have a huge desire to retrieve as puppies, but all can be taught to do so, and all will love you to bits for teaching them. 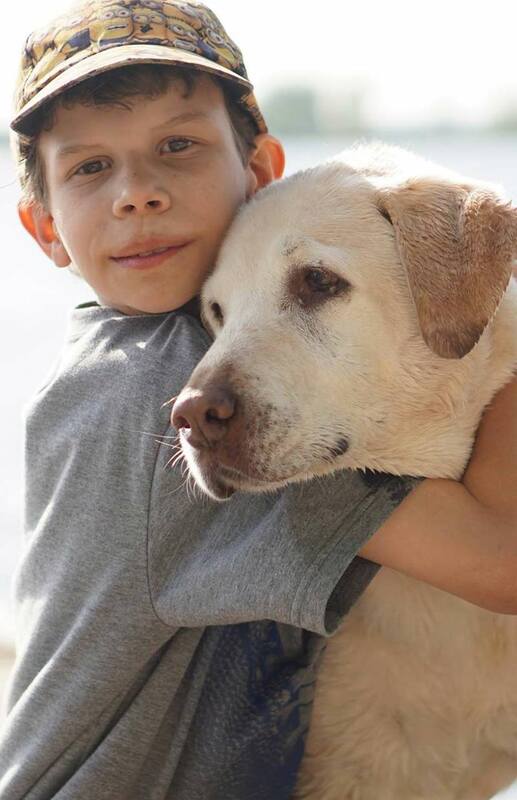 Retrieving is a wonderful way for Labradors to interact with people, including children. It is also the very best way of exercising your dog whilst retaining control over him. 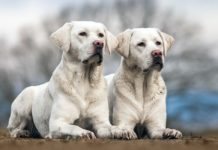 The joys of retrieving should not be restricted to working gundogs, all Labradors should have a chance to learn to retrieve. Fetching a ball is just the start of retrieving. Here’s a link to help you teach your Lab to fetch. The retrieving game can be developed to challenge the cleverest dog, with hidden balls, longer and more difficult retrieves, and even teaching the dog to respond to hand signals and whistles at a distance. 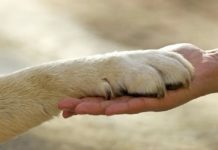 Children benefit immensely from learning to handle and control a dog in this way. 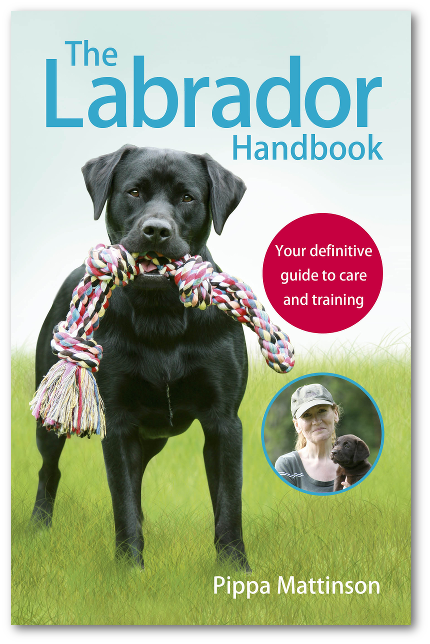 There are lots of activities you and your children can get involved with if your Labrador has had some basic training. Whatever games or activities you decide to use, have fun playing with your dog and be safe! 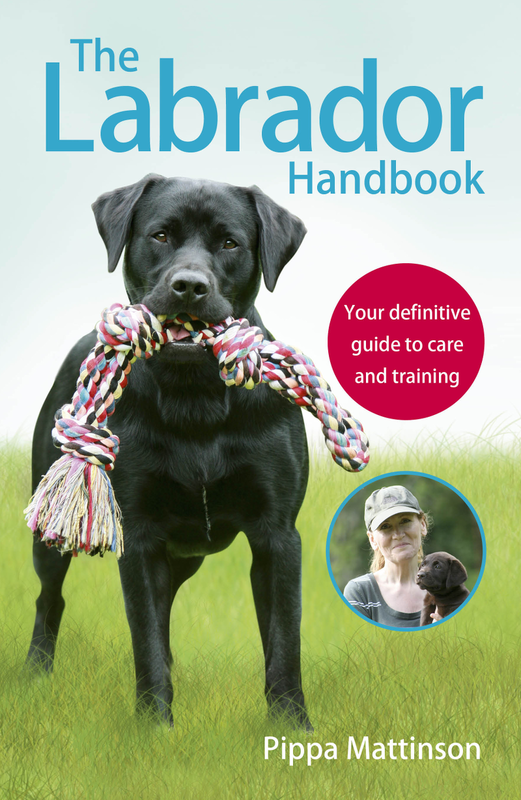 You can find out more about how to have fun with your Labrador in a structured way in the Training section of our website. Hello there. 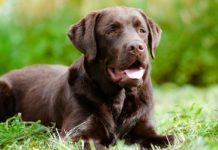 am a kid of and I a Labrador and this really helped me .but I am still confused about feeding .should I feed raw or dry food?